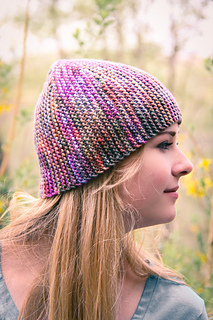 A quick and easy garter stitch hat, Eldora is perfect for showing off variegated yarn. 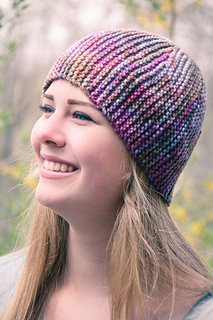 This hipster beanie is cast on provisionally and knit sideways with short row shaping, then the first and last rows are grafted together for a seamless finish. Techniques & Skills Used: Provisional CO, knit, short rows, grafting; a link is provided to my short rows tutorial, and grafting instructions are included. 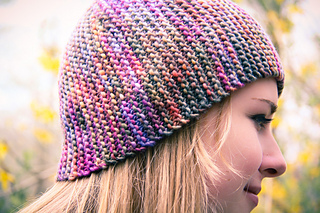 Size: Child (Adult); 19” circumference and 7.75 (8.5)” height; the stretchy garter stitch and single ply wool will accommodate many head sizes. 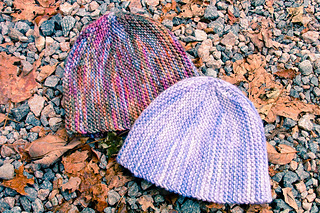 Yarn: Malabrigo Yarn Merino Worsted (100% merino wool; 210 yards/100g); 1 skein, shown in Deja Vu and Snow Violet, or approximately 100 (110) yards of worsted weight yarn. Other Materials: US 9 (5.5mm) 16” circular needle or 32” circular needle if using Magic Loop, or size to match gauge; Scrap yarn for provisional CO; Yarn needle. 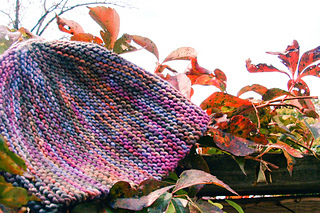 Gauge: 16 st and 32 rows/4” in garter stitch, after gentle blocking. 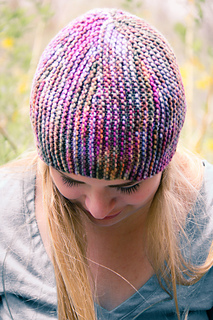 Row gauge determines hat circumference in this sideways knit. Thank you to my lovely test knitters. 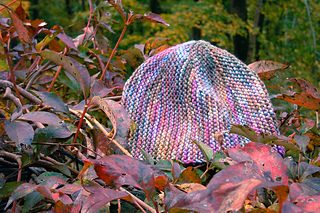 For questions or to show off your hat, please visit my Ravelry group, The Knitting Vortex.